"The strategy worked beautifully in Bridgetown in game one. Not so much in game two, though, as England faltered with the game in their pocket"
West Indies need a win to level the series. That they're still alive at this stage is thanks to rain and an excellent effort in game two at Bridgetown when they caused the sort of panic in the England dressing room not seen for four years. The least said about West Indies bowling the better. Conceding 418 suggests a few things have gone wrong but Sheldon Cottrell, Brathwaite and Nurse did okay. Bowling resources could be bolstered with Andre Russell returning, probably for Oshane Thomas. With the bat, Chris Gayle's thunderous 162 wasn't quite enough while Darren Bravo notched another fifty on what must be becoming his favourite ground. Jos Buttler and Adil Rashid stole the headlines. Buttler's 72-ball 150 was murderous but he and his team-mates were grateful to Rashid for an extraordinary four wickets in the 48th over to spare blushes. England would be wise to pay attention as to why the Windies got so close. Are they becoming a one-trick pony who have to destroy attacks to save their own? There is a growing suspicion that this is so. For this must-win contest they will sweat on the fitness of Jason Roy, who has a hamstring problem. But Alex Hales is an excellent replacement as opener. It's when they try to shoehorm him into the middle order that we're not happy. Chris Woakes took a beating so Tom Curran and David Willey will be on alert. Finally, a word for Mark Wood whose four-wicket blitz was worthy of top bowler before Rashid's intervention. In 'discovering' Wood as a wicket-taking tyro England will argue they're in better shape than ever for glory this summer. There have been 11 completed ODI at Gros Islet in the last ten years. Six have been won by the side batting second with one tie. The wicket has a reputation for being one of the best for batting in the region. The stats say otherwise, however. More than 300 has been busted only three times. In 2017 Afghanistan posted 212 and won but they were bowled out for 135 two days later on the same ground and lost. The previous five scores were: 242-261-229-281-294. This one is under lights and there's no suggestion of toss bias with two wins for the side chasing. West Indies are hovering around the [3.0] mark once again with England [1.46]. As we have said throughout the series the best way to get with England at prices in our comfort zone is if the hosts bat first, go well and then England chase. This strategy worked beautifully in Bridgetown in game one. Not so much in game two, though, as England faltered with the game in their pocket. Despite the pitch numbers saying otherwise, it often pays to listen to local knowledge about a wicket and if the folks in St Lucia say 'road', best to sit back and enjoy the ride. Keep your fingers crossed for [1.70] or more about England in a chase. We reckon they'll get 380 against this attack if need be. It's tricky to be so specific but there seems little other option. As we saw last time that Windies price gets very big, very quickly if England bat first. Gayle has a good track record at the venue, averaging 38 with only one not out. He has a century and fifty to his name in 14 innings. He is 11/4 for top WI bat. Does he have much to beat? Hope has been put in the shade by Gayle when both are in the team and it's interesting how his run-making suffers a bit. His 102 runs for the series is a disappointment. He is 7/2. Shimron Hetmyer might be the best alternative at 5s. 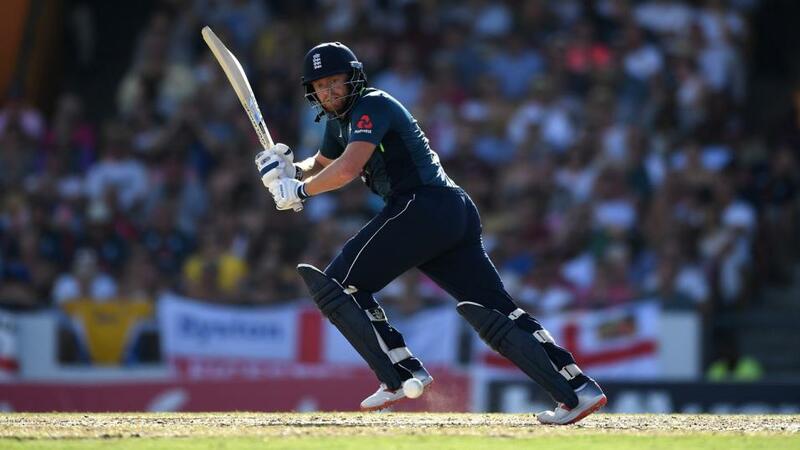 Buttler is 5/1 for top England bat after his heroics but we have consistently said that Jonny Bairstow is the wrong price at around 7/2. He doesn't seem to be out of touch and we'd probably kick ourselves if he copped here and we failed to mention it. Ben Stokes also looks big at 10s. Joe Root is the wrong jolly at 16/5.